The 2016 FDA Deeming Regulations are likely to shift competitive advantage in the vaping industry significantly over the next few years. The FDA unwittingly intervened in the middle of the vaping industry’s technology development cycle and changed the rules of the game. As we all know, that has caused a firestorm of controversy and some industry paralysis around innovation. Investment in innovation requires clear business goals and the business environment is unclear until the new deeming regulations are fully imposed, repealed or scaled-back. Slick, visually appealing, flavorful and compact once drove the research and development cycle, now accuracy, repeatability, measurability and systems interaction will take precedence to comply with the new regulations if they stand as I believe they will. Thus far, the vaping industry has been built largely on branding, a loyal customer base and trade secrets to create and protect the competitive advantage that exists in the various vape-related businesses. Most e-liquid formulations are kept secret although the manner in which the secrets are kept may not meet the legal hurdle of “due care”. In simple terms, due care requires that one goes through some extraordinary efforts not to expose the secret information to those who would disclose it or profit from it. Disclosure nullifies the trade secret and nothing can be done to put that horse back into the barn. Once a trade secret is in the public domain, it can’t be patented or made secret again. Beyond trade secrets, mostly around formulae, some patents have been filed against the various ENDS devices, cartomizers and power supply’s but they are few relative to the quantity of devices and their derivations on the market today. Very few patents have been filed against the systems or hardware that blend e-liquid either which suggests that there is either nothing novel about the equipment or the inventors intend to keep it a trade secret. Moreover, since demand outpaced supply historically, the need for unique competitive advantage was somewhat diminished, as I stated in a prior published paper*. Therefore, over the past decade all boats rose with the tide. Everyone profited from the bow-wave created by the surge in the vaping market and protection of intellectual property was not a requirement for near term success. Long-term, sustainable success is a different story. Long-term sustainable success is built on well-protected intellectual property (IP). It is estimated that around 80% of the total value of the S&P 500 index is attributable to intangible assets, i.e. intellectual property of all types. The landscape has changed dramatically for all businesses related to the vaping industry however. The recent deeming regulations will surely to drive a course correction as they kick in through 2018. One thing seems certain, the FDA regulations are here to stay in some form. Whatever innovation(IP) did exist prior to August 2016 is likely to become partly obsolete or possibly wholly obsolete dependent on which segment of the business you are in. Why so? Because the methods, processes, hardware, materials and designs that were sufficient to meet the needs of an unregulated environment are not likely to be sufficient to meet the needs of the new regulated environment. It’s that simple. The standard has changed and there is now a higher science required to meet that standard. The new standard will be grounded in repeatability and other metrics that are tied more to science, data collection and reporting than marketing alone. Smart businesses will leverage the science in their marketing pitches and I can already see it emerging in recent advertisements. The vaping industry supply chain businesses that hope to remain viable going forward will need to answer the larger questions. Are the thermo-mechanical processes executed by the ENDS device to vaporize the liquid repeatable within an “acceptable” range? Can the ENDS apparatus and the liquid when combined produce repeatable results for the user? Are the various thermal, chemical and mechanical interactions well understood? Do the developers and manufacturers of those commodities know what those results are in terms of toxicology? The answers to those questions and others are the kernels of intellectual property(IP) that will emerge by necessity from the R&D required to create the solutions. That’s the jist of it. Those who can determine which IP to create and protect and how to protect it will yield the golden goose, i.e. long-term competitive advantage. Most of the heavy-hitters in the tobacco industry have already begun to put IP stakes in the ground. One indication is that Altria, Reynolds American, Japan Tobacco Int’l and British American Tobacco have collectively filed for almost 900 patents over the past few years. 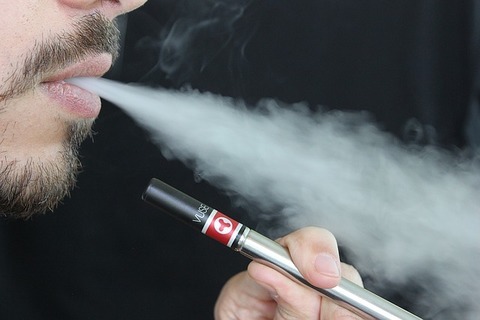 More than half of those patent applications are related to vaping in some way. That’s just the IP that we can see in the public domain via published patent applications. There is much more in trade secrets, undisclosed processes and know-how behind that. There always is. Think of it as a fence-line. Patents are the fence-posts. The mesh that covers the posts and creates the barrier are made up of the intellectual property that you can’t see. If you are a small to mid-sized business trying to make it in the new world order that the FDA regulations have yielded, you should be concerned but not dissuaded. Even large companies like Altria, etc. who have patents in the vaping area do not typically have a comprehensive IP strategy that is adequate. I lead the team that created the IP strategy approach for The Boeing Company in recent years and I can tell you that very few large companies do this well. Super high-technology companies like those found in IT, communications and the pharma industries are the best at creating and executing an IP strategy. That’s largely because they can afford to invest oodles of money in patenting and defending their IP around the world. The rest of us have to be much more efficient at identifying the IP that has real long-term value and then determining how we protect it. That’s where a comprehensive IP strategy can pay huge dividends for your company, no matter what size it is. Accessible subject matter expertise and the agility that comes with being smaller than Altria can be significant strengths in any strategic planning, especially in IP where the kernels of value need to be identified. Prescriptive IP strategy is beyond the scope of this paper and I have written volumes on it. It’s different for different industries and different business models within industries. However, anyone can begin to work through the tenants of creating an IP strategy which is where most businesses of all sizes miss the mark. An effective IP strategy starts with a laser focus on business objectives. Your organization, no matter how small should have a business strategy that drives everything you do. Ask yourself, can you achieve your business objectives in terms of product line throughput, quality(FDA) cost and pricing that you need to be market competitive? Do you currently have the technology, processes and equipment that you need to achieve your business strategy? If not, how will you acquire the necessary missing elements? Will you create them internally through company funding or acquire them externally through in-licensing, supply-chain partnerships or acquisition be it just the IP or the whole company? Most importantly, do you know which technology, formulae, processes and equipment will yield the greatest competitive advantage going forward? Where are you in the supply-chain and how do you intend to monetize your position? This is the most critical aspect of any worthwhile strategic plan, knowing what’s important to your bottom line and prioritizing it. Once you know that, you can begin to invest in and protect your existing and emerging IP commensurate with its value. Patents, copyrights, trades secrets and trademarks are the typical tools that one would use to protect not only the most critical, but all the intellectual property that your company has ownership of, rights in or both. All IP has some value. It’s just a matter of prioritizing the IP according to its value contribution. This extends to teaming agreements and other contracts wherein the rights and ownership you convey or are conveyed to you are codified and agreed to. Any solid IP strategy is built around a business, technology, IP relationship that is well understood by a diverse subject matter expert team and then shared with rest of the organization. Small, agile organizations can be very good at this because there are less buy-ins required and less people to share the plan with. Some of this comes down to simply marking all of your documents correctly and that’s virtually free. It all starts with a solid business plan. In a bulk material handling system, feeders and conveyors are very important. Feeders and conveyors not only function much differently, but their design requirements are also very different. If a conveyor is misused for a feeder, increased power requirements as well as stagnant regions within the bin could occur. The decision must be made of which will be used when designing a bulk material handling system. A feeder controls the rate of material from either a bin or a hopper. When the feeder stops, the material slow should also stop. Feeders are flood-loaded and are capable of rate control. Feeders are able to modulate the discharge rate from the vessel that is flood loading it. They also have a relatively slow speed of operation, but the speeds are not fixed. At times, more than one feeder may be needed for a particular application. Feeders are to operate when they are one hundred percent full. Belt feeders for coal, vibratory pan feeders for applying seasoning to chips, and apron feeders for ore under a stockpile are all examples of feeders. 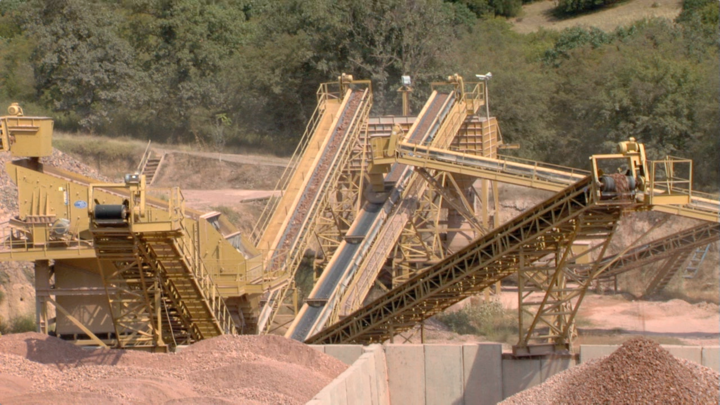 Mechanical conveyors are used to transport bulk materials, but are not able to modulate the rate of material flow. Conveyors, unlike feeders, are not flood-loaded and are running at a constant speed. The constant speed for a conveyor is much different than a feeder; it runs at relatively higher speeds. Conveyors are to operate when they are partially full. Drag-chain conveyors for hot clinker, screw conveyors for limestone, and belt conveyors are all examples of conveyors. A general rule in a bulk material handling system is that conveyors should not be used as feeders and vice versa. A feeder should always be used if modulation of flow rate is needed and if mass flow in the bin above is required. A combination of a feeder and conveyor should be used if the horizontal distance between the hopper outlet and discharge point is two to three times the length of the outlet. Selecting and designing a specific feeder for particular jobs is not a huge deal. On the other hand, conveyors have much stricter design rules.